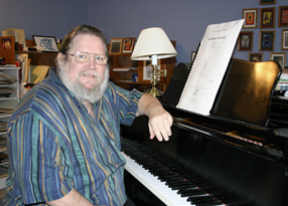 Allen Strange studied composition with Donal Michalsky at the California State University, Fullerton. He received his MA in 1967. He later studied composition with Robert Erickson, Harry Partch, and Ken Gaburo, and electronic media with Pauline Oliveros at the University of California, San Diego from 1967-8 and 1970-71. In 1970, Strange became a professor of music and the director of the electronic music studios at San Jose State University. He received grants from the San Jose State University Foundation for research into electronic music. Other grant support came from the American Music Center, Yamaha Corporation and the BIAHC Foundation. He attended John Chowning‘s music seminar at the Stanford University Artificial Intelligence Center. Strange was one of the leading authorities on analogue electronic music; his book Electronic Music: Systems, Techniques, and Controls is now a classic text. He also wrote Programming and Meta-Programming the Electro-Organism, the operations manual for the Buchla Music Easel and documented the 200 Series synthesizers made by Buchla. 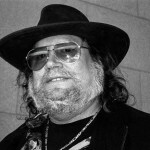 He co-founded two performance groups: Biome (1967–72), in order to make use of the EMS Synthi; and, with Don Buchla in 1974, the Electric Weasel Ensemble. 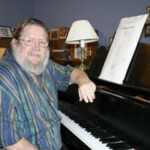 He was president of the International Computer Music Association from 1993–1998, and appeared as a guest artist-lecturer throughout the world. 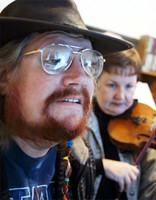 With his wife, Patricia, they published The Contemporary Violin: Extended Performance Techniques (Scarecrow Press). Strange composed for live electronic instrumental ensembles, for live and taped electronics with voices and acoustic instruments, and for the theater; most of his works for acoustic instruments require extended performance techniques. He was particularly interested in linear tuning systems (as in The Hairbreadth Ring Screamers, 1969, and Second Book of Angels, 1979), spatial distribution of sound (Heart of Gold, 1982, and Velocity Studies, 1983), the isolation of timbre as a musical parameter, and composing for groups of like instruments or voices. Elements of vaudeville, rock-and-roll, country-and-western music, and the guitar techniques of Les Paul are found in his works. His theater pieces employ various media including film, video, and lighting effects; he produced a series of such works in collaboration with the playwright and director Robert Jenkins, of which the most important are Jack and the Beanstalk (1979) and The Ghost Hour (1981), an audio drama. 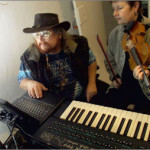 His later projects include works for solo and small ensembles (Three Short Stories, 2005), continuation of the Goddess Trilogy for solo violin (Goddess, 2003), works for electronic media with and without acoustic instruments (Quinault Cathedral, 2004 and Velocity Studies V: NGate, 2007), compositions for various chamber ensembles (Songs in Black, 2005, Another Fine Mess, 2006), works for orchestra (Bainbridge Sketches, 2006 and Brief Visits to Imaginary Places, 2007) and a complete evening of settings of poems by Eugene Field, The Cautionary Tales of Eugene Field, 2006-7). Strange retired from academia in 2002 and moved to Bainbridge Island, Washington to pursue a full-time career composing, concertizing with his wife, and working with his jazz trio, Cuvée. He died on February 20, 2008.